This year’s Somerset Day takes place on Saturday 11th May 2019, with two new Official Partners signed up to support the county’s special day. Clarks, based in Street, and master butcher, Pyne’s of Somerset, are both flying the flag for Somerset. Clarks, the British-based, international shoe manufacturer and retailer was founded in 1825 in Street, where it still has its headquarters. Clarks employs 1700 people across Somerset and firmly believes in investing in the community and supporting initiatives that enable people to live healthy and fulfilling lives. By supporting Somerset Day, Clarks will be encouraging people throughout the county to be passionate about the place in which they live and work. Established in 1984, Pyne’s of Somerset has gained a reputation for selling the highest quality fresh produce and in so doing has nurtured close links with local farmers in the county. They join some of the county’s leading businesses Evosite, Wyke Farms, Thatchers Cider, Milsted Langdon, Fox Brothers and Haynes in their support of Somerset Day. Over the weekend of 11th May 2019, there will be events taking place throughout Somerset, and a full programme will be available here on the new Somerset Day website in our events section. If you’re organising a Somerset Day event for your local community, please upload details through the ‘Register an event’ page for this to be published on the website, where a full calendar of events will be hosted. 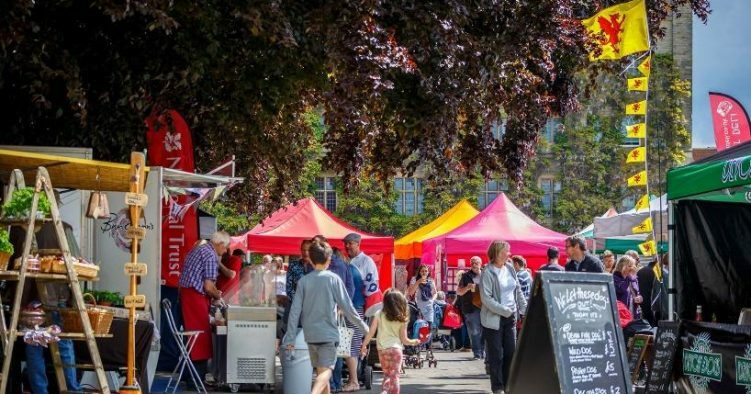 “With food and craft fairs, exhibitions, competitions, concerts and of course, tea parties, we’re hoping everyone in the county uses Somerset Day as a chance to come together and celebrate all that’s great about Somerset.